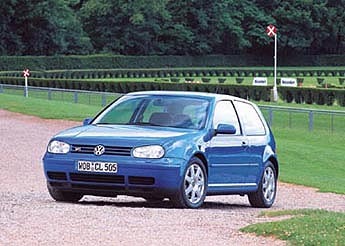 Welcome to my little site about the European Golf V6. 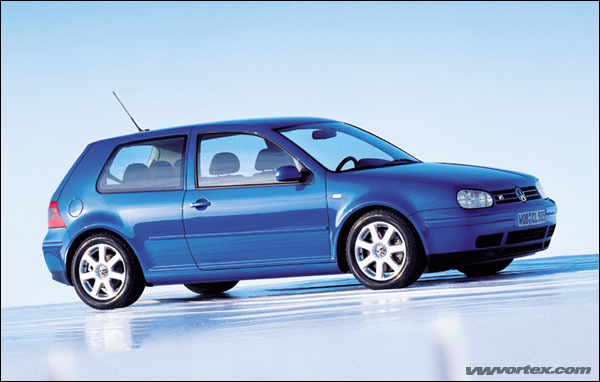 Here I hope you find some enjoyable pictures and even information about the powerful little hatchback. 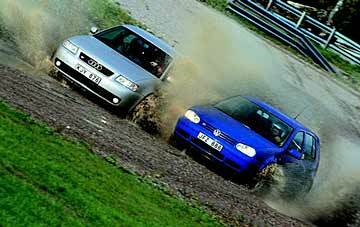 As a very brief introduction, one can claim that it has adequate power to fight among its more expensive friends, such as the Audi S3. 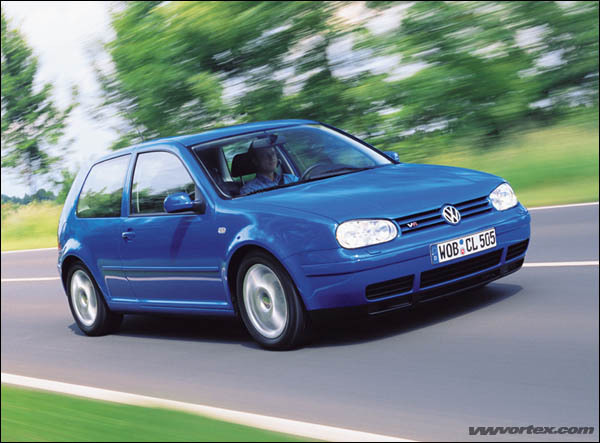 The VW Golf V6 4motion 2.8 (on the market since 2000) is a descendant of the powerful family hatchback, the VW Golf VR6 2.8; with several improvements. 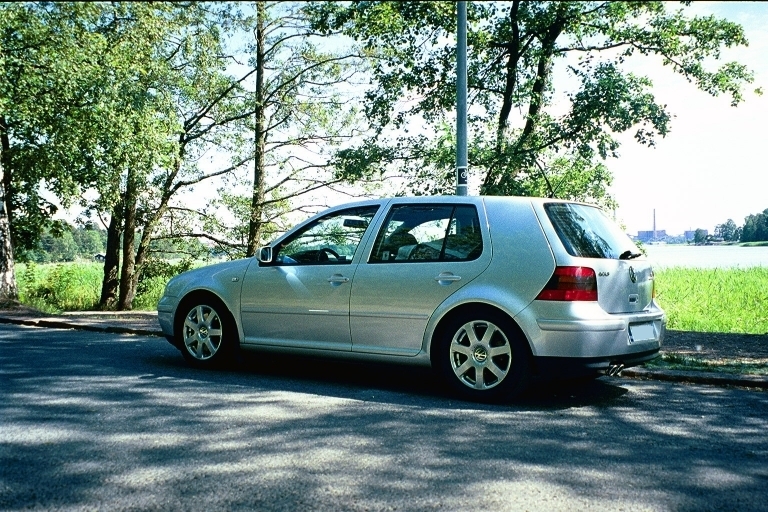 Ever since my past neighbours had the old VR6, I had thought 'now that seems like a nice little car', as the new V6 came, I couldn't resist, as I didn't want to buy a car that everyone had - even though Golf as a model is pretty popular. 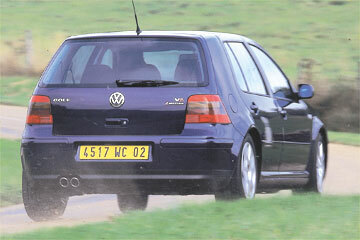 The car also had to be fast, safe, a blast to drive and even remotely affordable (for my wallet). 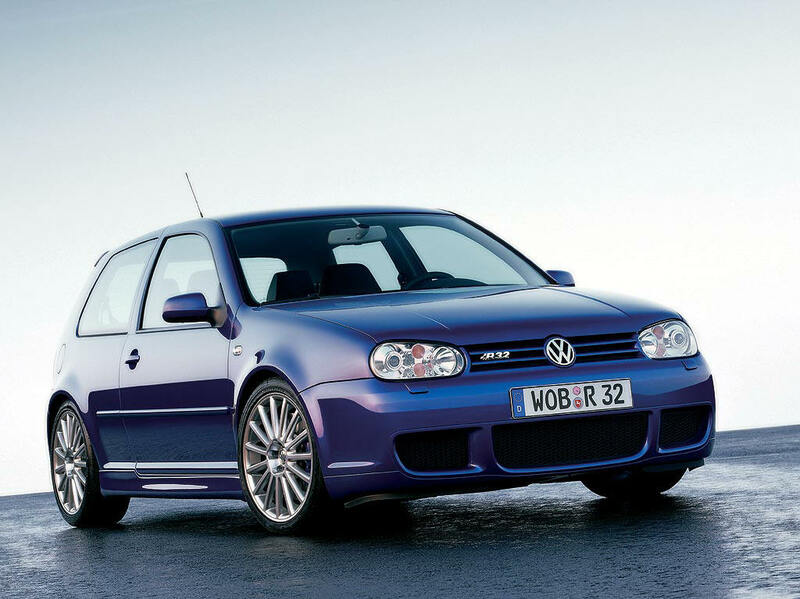 The Golf V6 4motion is probably the most controversial Golf -model so far, as there is a huge fan base supporting the traditionally 'IN' Golf Gti 1.8T -model. It is a slightly cheaper option with a turbo that has almost as much power as its bigger brother (especially after some quick modifications on the intake, exhaust and ECU / tuning chip). 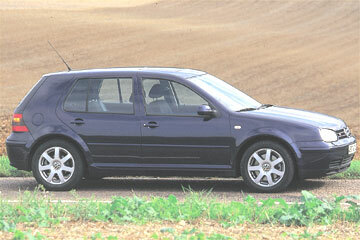 Then again this 1.8T -model lacks 6 cylinders and the delightful four wheel drive system, for example. 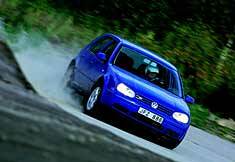 The six-gear 204 bhp Golf V6 4motion is a _very_ nice car to drive. The rather powerful purring sound the engine makes is music to the ears (especially if you keep the car's price tag in mind; not comparing it to the more expensive sports cars). The car really shoots forward when you kick in the pedal, followed with that sweet, aggressively powerful roar. 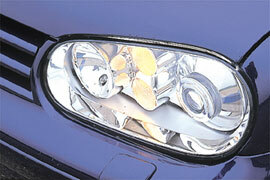 A quick 0 to 80 km/h burst (acceleration) takes 4.7 seconds (factory numbers). 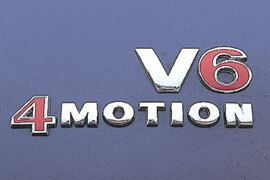 The engine is unique on the V6 motor line and is not the same as in the corresponding V6 Passat. The 4motion (Haldex) four wheel drive ensures that any weather winter driving is just pure glee; you just don't get stuck. The interior fittings are of the normal Highline -level. 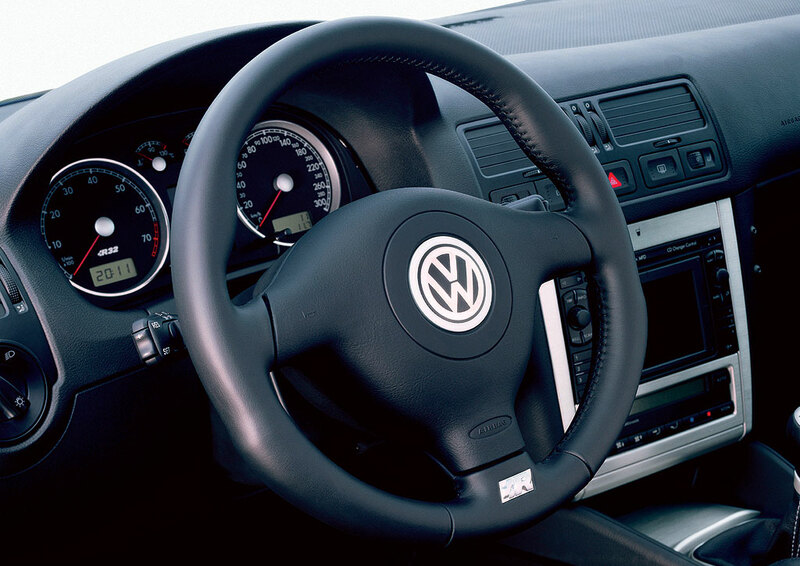 The seats are not as sporty as in the 1.8T, but they have more side support than the regular Golf seats. Having both, a sunroof and the climatronic climate control system brings atleast me enough options (and some slight customization). 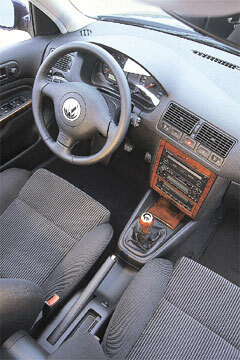 The V6 boasts a nice driving wheel and the interior in general is rather sophisticated, again differing slightly from other models (walnut tree ornaments). 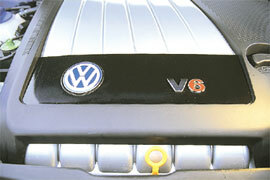 The new breed of V6'es is no longer marked as 'VR6' - the 'R' letter has been dropped out. 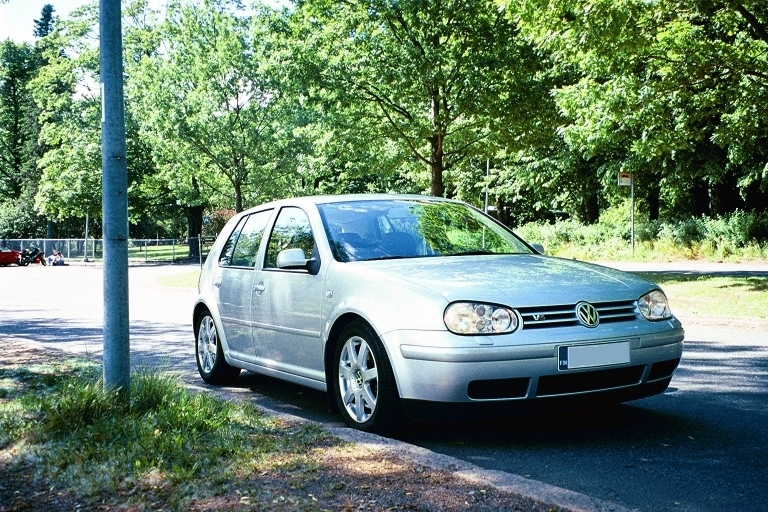 Against an ordinary Golf Gti -model, the 2.8 liter version is distinguishable to the average viewer only from the V6 tag on the front grill (silver V, red six). On the backside there are more identifiers; a pair of rather beautiful double chrome pipes and the V6 4motion tag (again with the red six). Its modest (almost humble) appearance has been accepted by many, though some would wish for a slightly flashier exterior. Still, I would not call this car a 'sleeper', even though the car's bashful outlook is a bit deceiving. 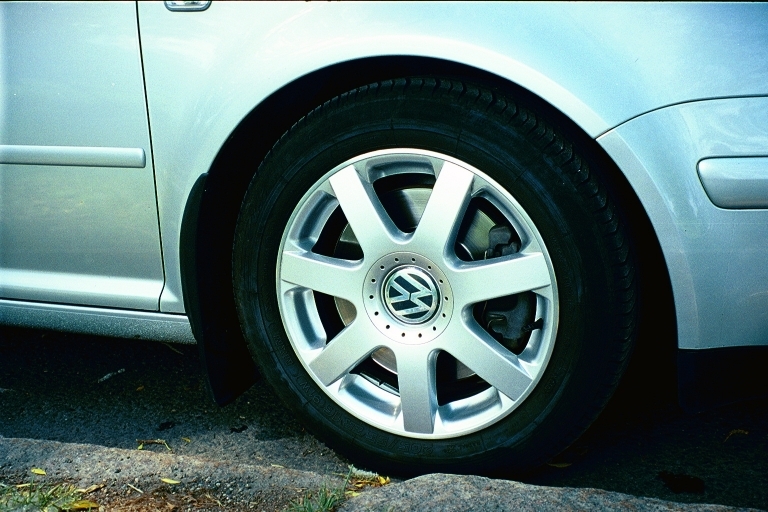 A more trained eye instantly notices more differences in the car's (lowered) chassis and the larger size of the front brakes. Come to think of it, the modest exterior may also make you feel like having something to prove out there; but lets be honest, this car is a made 'fun ride' - it succeeds in that quite well, too. Order. 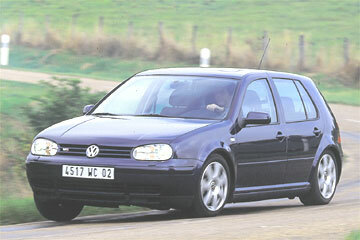 I put my car on order already on the 7th of April 2000 (7.4.2000 for Europeans). 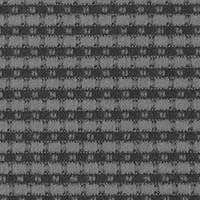 I chose the sunroof -model (and also the electronic climate control; climatronic) with the Reflex Silver Metallic exterior and Flannel Grey/Grey -interior. My car is also equipped with four (4) passenger doors. Later, I have regretted a bit that I did not invest into a leather interior or that I didn't choose something else than the 'dullish' gray - although my girlfriend assures me that the gray interior is fine too. Cost. Unless my memory fails me, my car costed about 269.000,00 FIM which equals roughly 45.000,00 Euros (pre-discount price w/ extras + winter tires and rims added to the sum). This does not include after market stereo equipment or any tuning options I have chosen. If you are a foreigner, you can clearly see how us Finns are being robbed by outrageous car taxation. (Hope the European Union will have a say in this soon.) As a side note, the customer magizine Etumatkaa no. 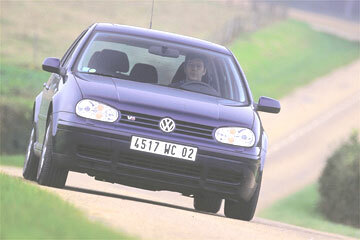 2/02 issue's advance price-list (dated 14.2.2002) has the GOLF 2,8 V6 4MOTION listed at 39.480,00 Euros here. Delivery. 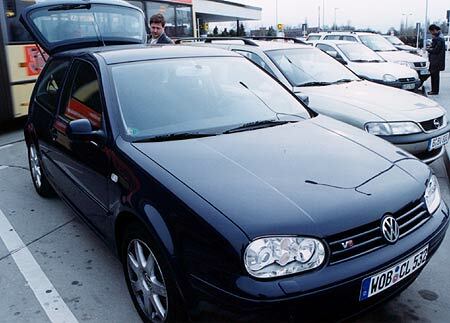 My new car was finally available for pickup on the 25th of July 2000 (25.7.2000) at a local car dealer. 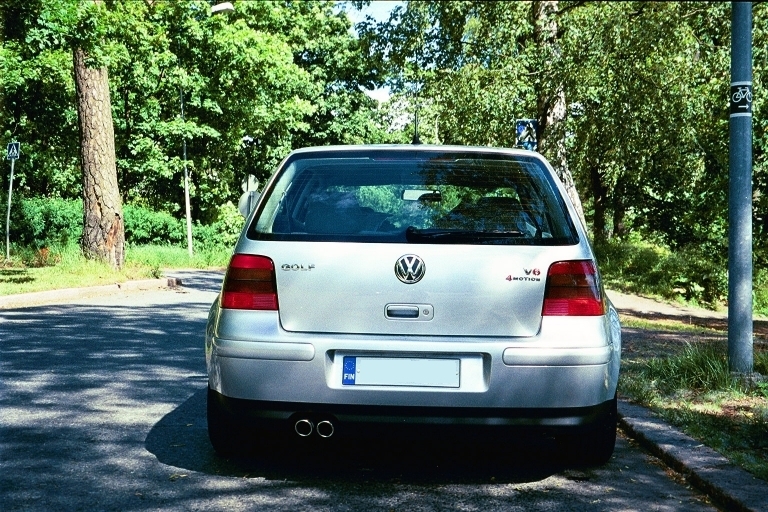 It was a couple of weeks late from the re-defined arrival estimations, but then again, I am told that my car might have been the 4th, 5th or 6th Golf V6 4motion delivered to Finland. After an initial inspection, I acknowledged that the car was in a brand new shape (except there were some dark grime streaks in the interior, which came off quite easily) and took off. It was equipped with rubber carpets (the fabric ones were in a bag in the trunk). 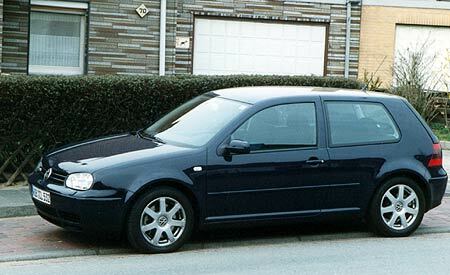 17.5.2001 - An ABT sports air filter cartridge was installed at König to (supposedly) increase the air flow to the engine. As the -00 model V6 had felt a bit too mellow to my taste, also new ABT suspension springs were fitted into the car (and the appropriate measuring & angle tuning was done). The springs themselves have a TUV-approval. 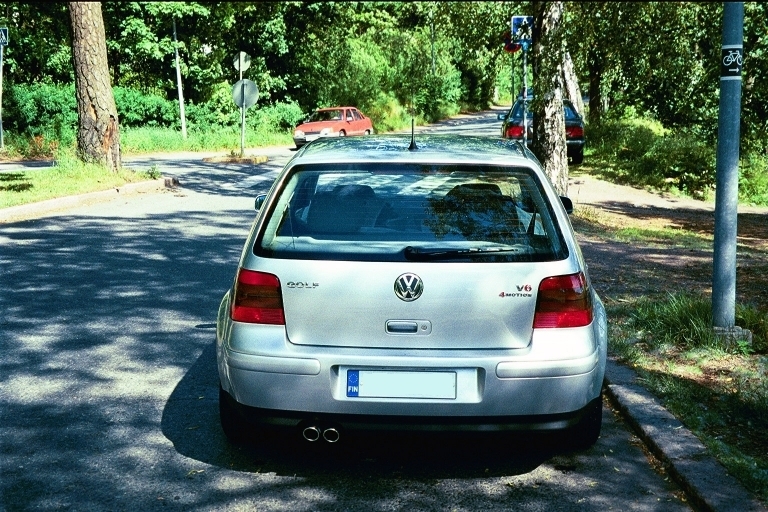 8.6.2001 - I had long had a keen interest on the Empeg Car mp3 audio player and was a frequent visitor at the unofficial Empeg / Riocar boards, so I finally had a 20GB MarkII Empeg installed in my car at Topi Järvi Oy. Along with the mp3-player was installed the Alpine MRV-F357 (4/3/2 Channel + Subwoofer Drive Power Amplifier); the empeg itself needs an amplifier and also an Infinity Kappa Perf. 10" subwoofer was installed as 'extra'. 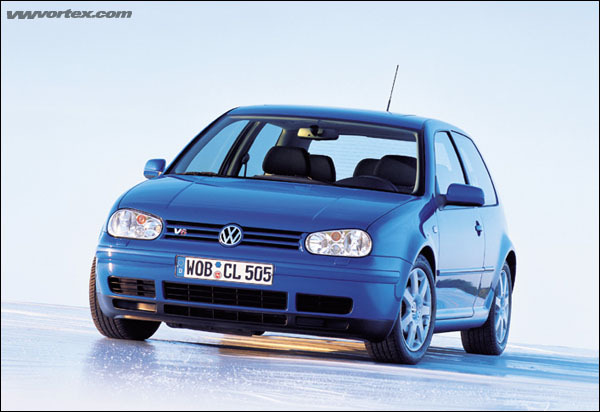 The whole ECU was taken out from under the car's hood (in a Golf 4 it is in the very middle just under the windshield; behind some plastics, so they needed to remove the windshield wipers to get to remove the covers, it was an operation quick enough, though). The ECU was opened (some screws were holding its casing together and there was also some gluelike-stretchy mass inside to make it rather hard to open safely) - then the AMD (..800BB) chip was soldered off (this can't really be done with home equipment, as the chip's legs are tiny, but well that wasn't the case here anyway). The chip was placed into an eprommer and its data was read to a computer (this needed to be done several times to get a checksum that looked real). The data was e-mailed to Upsolute in Austria for inspection, after which the guys at Upsolute returned the new (Upsoluted) code rather swiftly. My chip was re-programmed with the eprommer. At this point I was slightly annoyed about the fact that my original chip was used in the programming, as I had requested (and was told it was the common practice) to have my original chip back. However, the problem was the AMD's chip; none such BB-chips were available at that moment. This is something you might want to emphasize when getting chipped. My chip was carefully re-soldered into its original place and the ECU put back into the car. The car's engine operation was tested after which I was good to go for a test drive. 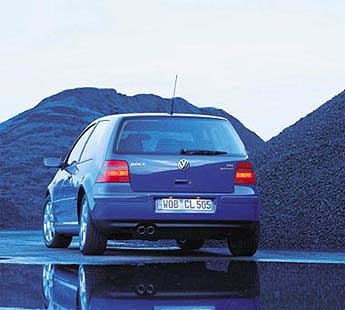 My initial impressions of the new chip (as of 6.3.2002): From the first startup, the V6-24 engine already sounded very smooth (perhaps even smoother than before? ), I did not detect any oddities in the engine behaviour. Even though there was some snow and ice on the roads to hamper with my initial tests, I am convinced that the chip tuning operation was successful and perhaps even useful. 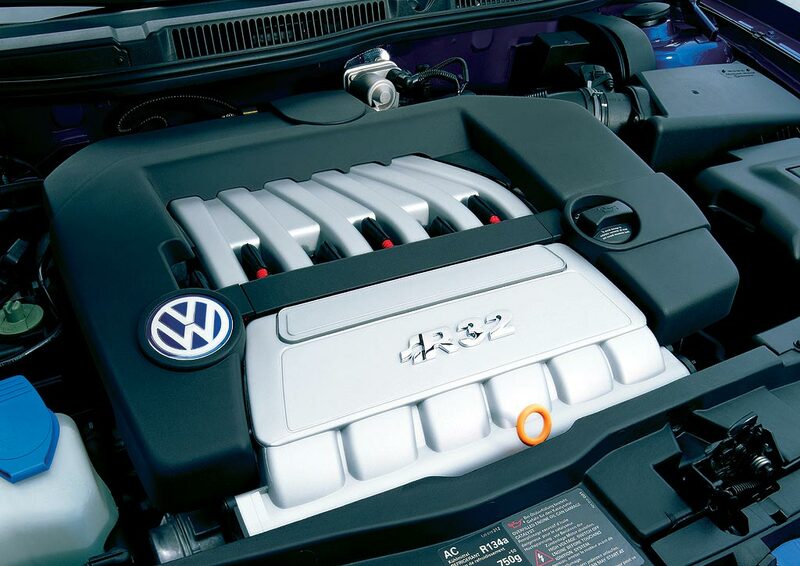 The engine operation felt lighter but yet much more powerful. My first sprint (from the green lights) left me impressed. I had been VERY sceptical until this moment, but it clearly feels like the car had gained more than just a few horsepowers. It also seems that the gas-pedal reacts to the driver's commands much faster than before (as if the so called drive by wire (DBW) lag had been lessened). 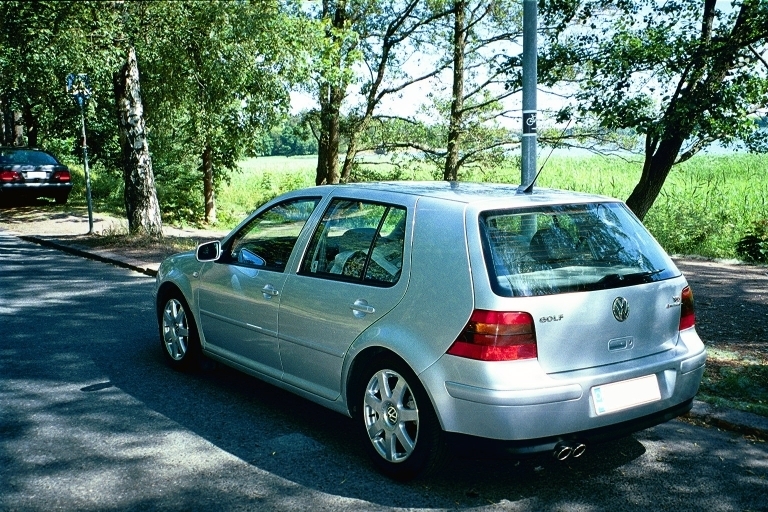 The engine sounds more aggressive on higher revs and even loading the car with more passengers (three people inside) has almost the previous one-person only touch; before, passengers (load) made the car act very sluggish compared to self-only. After a good 200 kilometers of motorway, I have noticed no undesirable features in engine operation or in fuel consumption (as an initial summary). 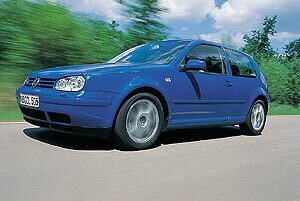 Speed: 0-50 km/h in 2.73 seconds at 26.07 meters. Speed: 0-80 km/h in 5.11 seconds at 71.94 meters. Distance: 0-201 m : 9.58 @ 117.51 km/h. Speed: 0-120 km/h in 9.95 seconds at 213.66 meters. Also, as a reminder; these numbers are not 100% accurate. I am going to look on this matter, it seems that the OakGPS software suite produces quite accurate numbers but still, on track they had variations in comparison to the track's measurement equipment on 0-401m times (here). 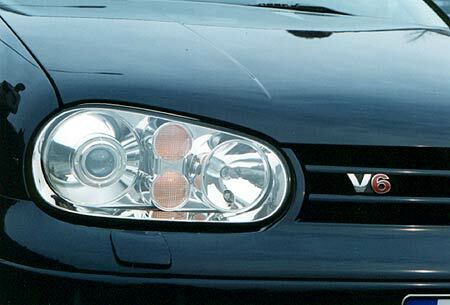 Sadly enough the V6 guy got his own car (without a chip) to give as high as 290 Nm outputs on the VAG-COM a couple of weeks after the tests he did on my car, thus, the validity and relevance of this data can be (again) questioned. Speed: 0-80 km/h in 4.92 seconds at 68.78 meters. Speed: 0-100 km/h in 7.12 seconds at 127.21 meters. Distance: 0-402 m : 14.79 @ 148.74 km/h. Speed: 0-80 km/h in 4.89 seconds at 71.97 meters. Speed: 0-100 km/h in 6.97 seconds at 126.51 meters. Distance: 0-402 m : 14.64 @ 149.66 km/h. As you can see, there's supposedly some slight anomalities in those numbers. One reason might be the possible inaccuracy in GPS measurement, but there may be other reasons to them too. Yet again, I must say that these empirical tests give us some direction of the car's performance. 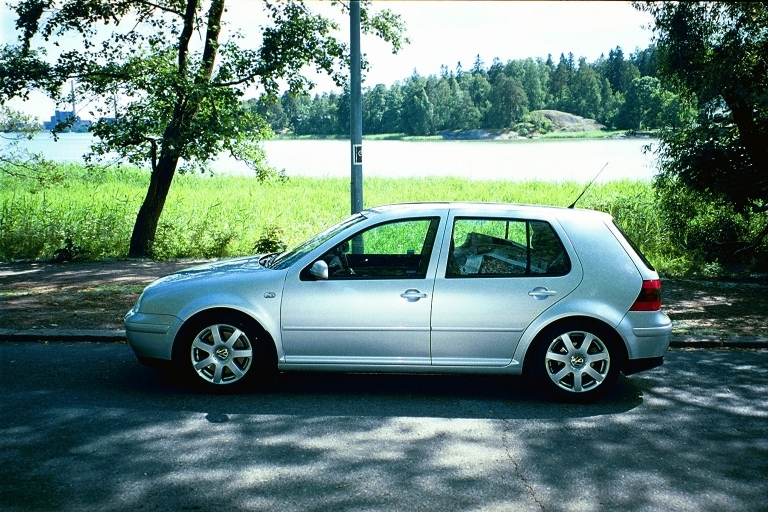 Summer 2002 - With some regret, I must confirm that I have sold my little vehicle as car fever hit me rather bad. I was thinking about getting my vehicle supercharged (by Z-Engineering) or turbo'ed by König (among some mild/discreet body enhancements), but came to the conclusion that I would actually be spending a lot of money on something that would most likely get me a lot of gray hair laterwards; as the Finnish emission laws and the national car inspection system would most likely be tough for such a car to get the 'OK' for. Thus, I sold the car for 29.500,00 euros with it having about 59000 kilometers in the meter (unless my memory fails me) after ordering a BMW 300-series coupe. 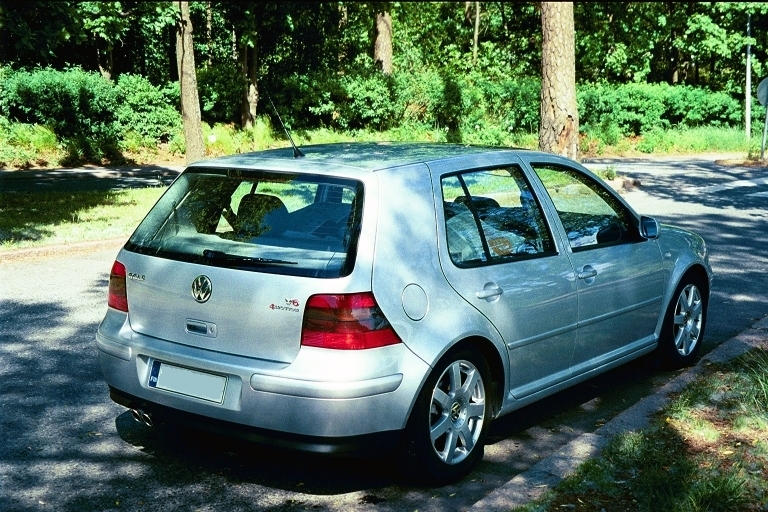 The local BMW dealer would have given me only a bit less than 26.500,00 euros in exchange for the new car - so I decided (rightfully) to sell the Golf V6 myself. 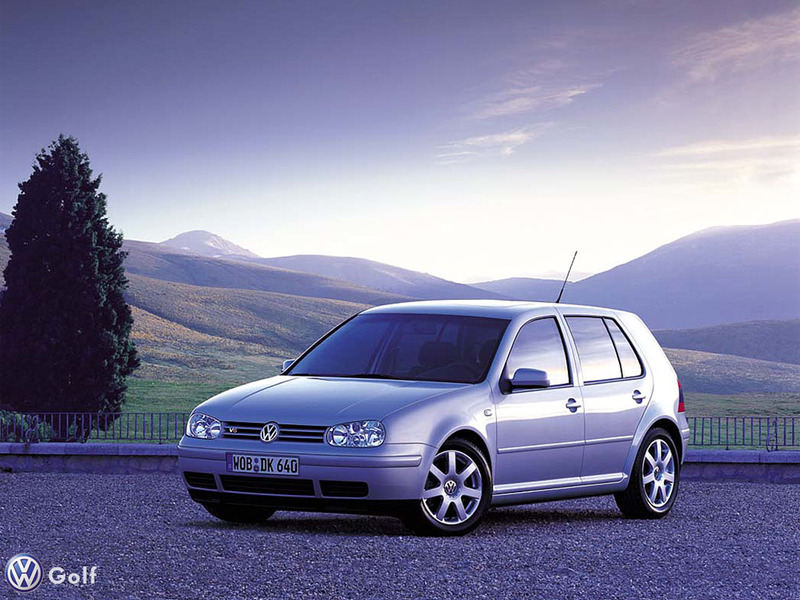 After the initial sadness that came after parting with anything relatively precious has passed, I must still emphasize the fact that the Golf V6 -00 was a very nice car indeed! 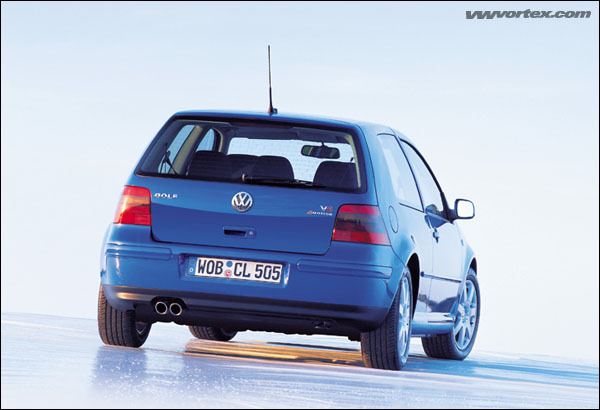 The feature I miss most is its four wheel drive which brought true solidness combined with the nice performance. 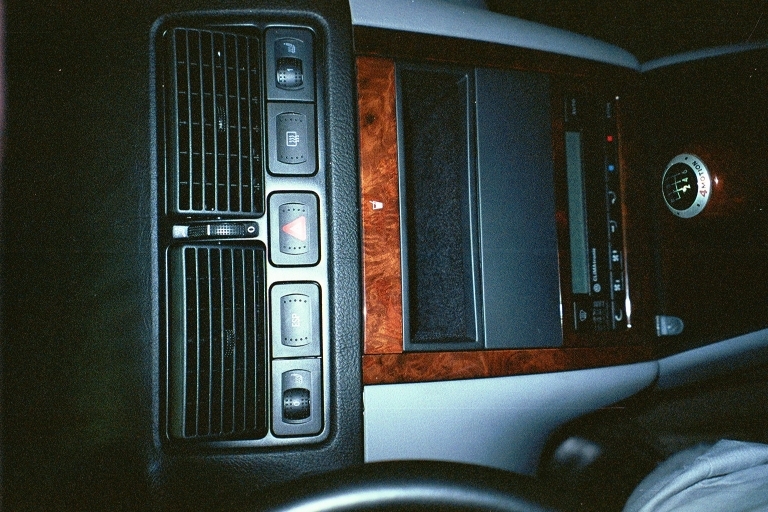 My worst memories of the car concern the constant creaking sounds that were emitted from various sources inside the car and it's body - these combined with the inadequancy of the service personnel to eliminate these little annoying sounds were one big reason for the car fever that hit me. I am being told from various sources, that these little squeawks have been quite much eliminated in the later 'revisions' of the Golf IV - which is great news! 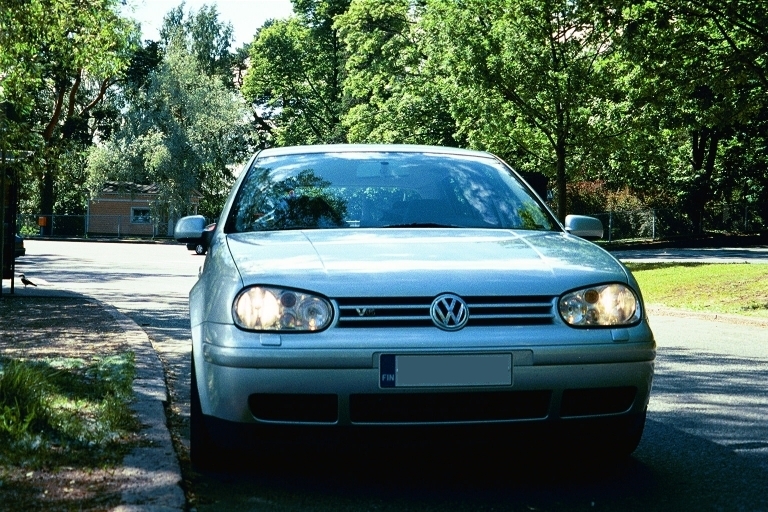 The Afterword: I hope this little rant (of a webpage) has given you some insights or thoughts about the little hatchback; if it did, I did not write it for nothing, hehe. Good luck with it! I still haven't provided pictures of my (now ex.) golf, except for the one at the very beginning (that opens this page) - maybe the rest will arrive some day, maybe not. some claim (among the manufacturer) it is 7.1s, some say it is 7.3s, these guys got their V6 to do it 7.8s. 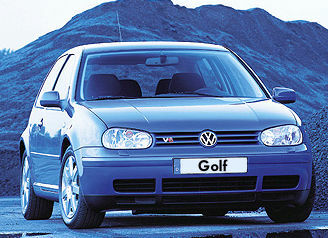 Here's a quite fine VW Golf V6 wallpaper for the 1024x768 screen. This is a video of the Dahlbäck monster Golf (even though it probably has nothing common with the original Golf IV, except parts of the chassis (I hear it is quite much based on an Audi engine etc).. What a crazy machine. My (ex.) 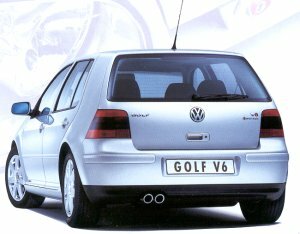 Golf V6's pictures! Well, finally here.. I'm not bothering to work the webpage any more beautiful, I agree it is horrendous now, but.. 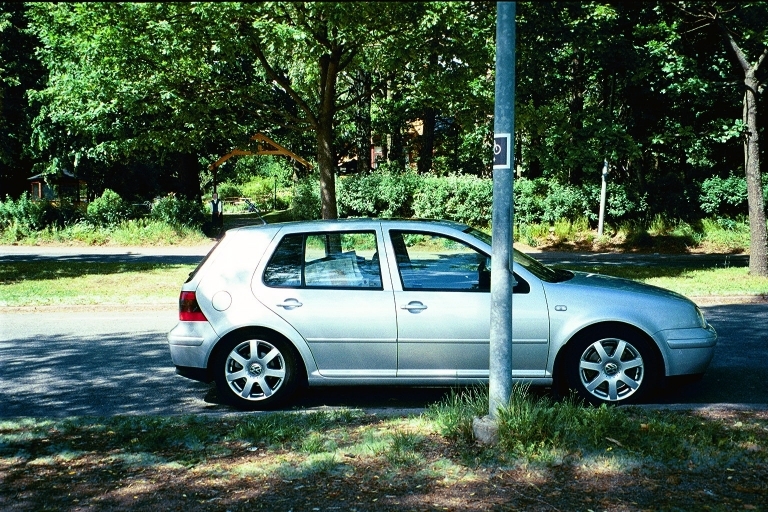 These pictures were taken in haste just moments before I sold it (you can see the winter tyres on the back seat..) Enjoy..